Have you noticed how many drones we have now? From the humble gun drone to the Ethereals new Hoverboard, there are now 22. Seems to be my life, lots of new toys for Tau, but either papers are due or we have to cook a turkey, or some such... I still need to build my stealth, guardian, and hover drones. BTW, I was using this color scheme long before GW started changing all their packaging. But that is for another post. I will update and replace these pictures later on, as I get to them. And Forgeworld Drones will be covered in the next installment. So let's go over this lot. The Sixth Edition Codex gave us a new box of Pathfinders and three new drones along with the ability to to make three of the old ones (gun, marker, and shield). Pathfinders always were a good source of drones, and this edition is no different. 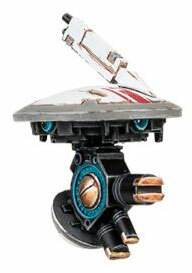 Only down side (at least for me) is that the marker and shield drones had a bit of a face-lift. I prefer the weird and long antennae stalks of the old versions, it helped make them unique. 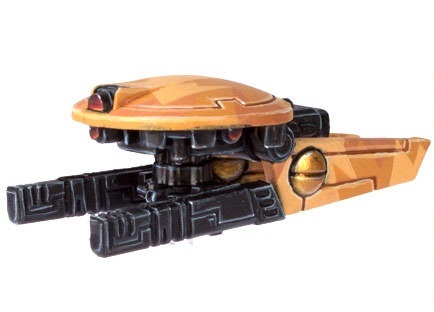 I also do not like the new drone disk shapes on the riptide's and sunshark bomber's drones. I will use the old style drone heads as often as possible..
Oh, and all the drones on this list are specific to units and cannot be taken by crisis suits or any units other than those prescribed. 1. Anyway, the first of the new drones that only pathfinders can bring to the battlefield is the Grav-Inhibitor Drone. 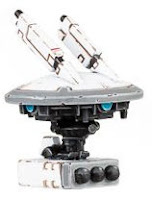 These drones are equipped with a gravity wave projector which emits a high-powered repulsor wave that forced assaulting troops back by D3 inches. This should allow pathfinder teams to survive long enough to retreat from an assault or other units to come to their aid. This can really be powerful when combined with Darkstrider's ability to consolidate after overwatch. 2. Another Pathfinder-only is the Pulse Accelerator Drone. This little guy allows nearby pulse weapons to extend their range by 6 inches. That means Fire Warrior Strike teams get a bump to 36 inches and pulse carbines go to 30 inches. Sniper Drones go to a whopping 52 inches! The coolest thing though is that breacher teams nearly double the range of their strength 5 shots to 15" and strength 6 shots to 11 inches. 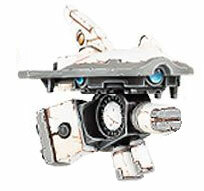 Keep this drone near your Stormsurges and they can shoot their Strength D love gun out to 16 inches. Extending the range of a shooty army is always a good thing. 3. The final Pathfinder-exclusive is the Reconnaissance Drone. Recon Drones are armed with a fold-away Burst Cannon, which is a Strength 5 Assault 4 weapon which is very effective against infantry. These drones also carry Homing Beacons and Positional Relays. A Homing Beacon allows Tau reinforcements to deploy with pinpoint precision within 6 inches of the drone or Devilfish its on (no scatter). A Positional Relay allows your outflankers to enter the battlefield on whatever board edge is within 6 inches. These are not game-changers, but they can be situationally useful. Park one on each side of the board, forward of your main force, and bring in reinforcing kroot or battlesuits wherever you want. 4. Broadside Battlesuits can take Missile Drones. These drones carry missile pods and are most commonly deployed to maximum effectiveness against light vehicles and heavy infantry at range. Each of these adds an ablative wound and 2 extra S7 shots at 36-inches to the firepower of the squad, but they can also devastate the unit's moral if they go boom. Biiiiiiig badda-boom. I really like them for the added firepower, but I have a friend who never uses drones at all. Ever. Seriourly. Never. Be careful with drones. The hits to squad morale can be disastrous. I played a game a few years back where a squad of Broadsides were packing all six of their missile drones for some serious missile cheese. I lost five of the drones to a vindicator barrage, failed my leadership, couldn't seem to regroup, and my broadsides walked off the table without ever firing a shot. I felt pretty stupid (but I still won the game). You should always use drones with caution. an a shield drone. Best of both worlds I suppose. Again, use with caution. 6. Interceptor Drones come attached to the Sunshark Strike Fighter. 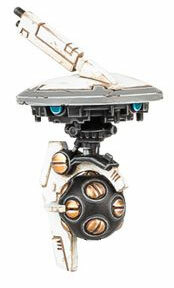 They are armed with a S7 AP4 twin-linked rapidfire ion rifle with a 30-inch range, and can detach while the fighter is zooming. They can turbo-boost like jetbikes with their High-Velocity Deployment and Afterburner abilities. Their rule specifically states that the drones can deploy after the vehicle they are on has completed its movement and still move their full movement. These drones also have Skyfire, Interceptor, and Supporting Fire. This is good. The BS-2 is bad. But that is why we have markerlights, right? 7. The Seventh Edition Codex Update gave us three more drones, including the Guardian Drone. Dumbest drone ever. 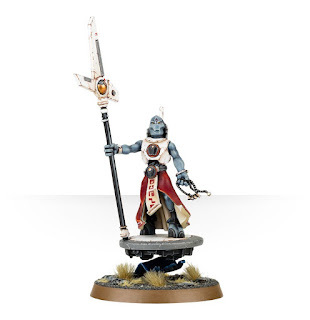 This little guy has a 5+ invulnerability and grants a 6+ invulnerability save to the unit of Fire Warriors it's in, and it's only available to Fire Warriors. If they're Breachers then they get the 5+ invulnerability. It joins the family of other Shield Drones granting 3+, 4+ and now 5+ and 6+ invulnerability saves. Meh. Gun Drones are better for fire warriors for many reasons, including ablative wounds. To me, there doesn't appear to be any compelling reason to ever take a guardian drone. 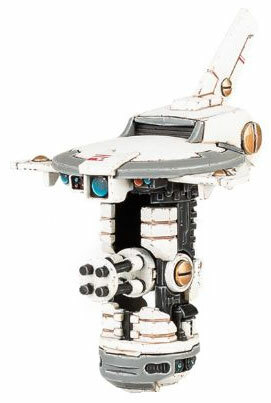 My opinion here, the drone should have given a 5+ invulnerable to either Fire Warrior infantry unit it's in (not just breachers), and the 6+ to any other model within 12 inches. Kinda like a Gungan shield beast. THAT would have been useful, but not necessarily OP. AND it would have given us a reason to choose it. Put this one in the box with the vespids, flying commander, and stealth suits. 8. The Stealth Drone on the other hand, seems quite useful, even though it is probably the ugliest little drone in heaven. It is free but only available to the Ghostkeel Battlesuit. It grants shrouded to the Ghostkeel, and stealth to any character that joins the unit. If the character already has stealth, then it gets the shrouded special rule. And all of this at no extra point cost. As unattractive as it is, and believe me, it is almost the Donald Trump of drones... it'd be dumb not to take them, even if just for the extra wounds. Forgeworld Drones and then the Gargantuan Drone (Droneport). A quick comment on the pulse accelerator drone - pretty sure the rule states it extends pulse carbines and pulse rifles by 6". Therefore it doesn't affect breachers, stormsurges, or others. 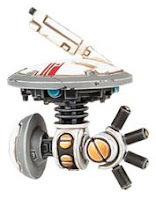 Also, the Guardian Drone would be taken because it gives a save to the entire unit (6++ normally, 5++ if the unit has field amplifier relays). The Shield Drone only has a 4++ itself and does not give it to any other model. Ok, good catch, but not completely correct. Though I was incorrect as well. Pulse Accelerator grants the additional 6 inches to Pulse Weapons in the unit its in, not those nearby. But it is not limited to pulse carbines or rifles only. @Anonymous, no. The rules states "confers." This means the 4++ is passed on, not that the drone has a 4++ save, it specifically says it confers the save. Note, this is slightly different from the previous edition where on page 55 it stated drone only. This is no longer the case. grant or bestow (a title, degree, benefit, or right). "moves were made to confer an honorary degree on her"
"she conferred a knighthood on him"
I believe you are incorrect regarding shield drones. Drones confer nothing, shield generators they carry confers a ++4 to the drone, not the unit. Just as placing a shield generator on a crisis suit confers a ++4 to the suit not the unit. I have experienced this argument before. It is a great misconception and misinterpretation of the rule. Hu Jin Tau is correct. Shield drone grants the save to the unit it is in.